beagle breed of small, compact hound developed over centuries in England and introduced into the United States in the 1870s. It stands between 10 and 15 in. (25.4–38.1 cm) high at the shoulder and weighs between 20 and 40 lb (9.1–18.1 kg). The breed is divided into two varieties on the basis of size: those under 13 in. (33 cm) in height and those between 13 and 15 in. (33–38.1 cm). 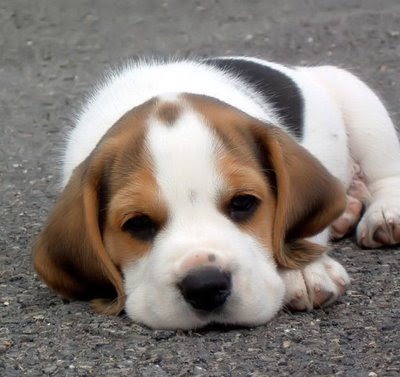 The beagle's short, close-lying, harsh coat is usually colored black, tan, and white. Once widely used, either singly or in packs, to hunt hares, today it is more popular as a field-trial competitor and pet. See dog. Beagles can be traced back to 16th century England, where Englishmen often owned packs of hounds. The smaller hounds - Beagles - were hunters of rabbits and other small prey. Over time, the breed was developed in England and later in North America. Beagles became more refined and widely recognized in North America by the late 19th century, eventually becoming one of the most popular breeds. Though still used in packs for hunting today, Beagles are commonly seen as wonderful companions and family dogs. Beagles are high-energy, carefree, optimistic dogs with a sometimes charming stubborn streak. These fearless hounds are well-suited to both hunting and companionship, though strict obedience training is an absolute necessity. Without it, Beagles can be become unruly and defiant due to their strong-willed nature. Beagles have short, water-resistant coats with a moderate to high rate of shedding. Routine basic grooming is all that is typically necessary to keep Beagles looking their best. Beagles can be wonderful companions and great family dogs when properly trained and socialized. 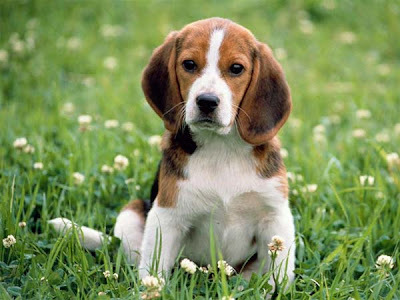 Though they may sometimes act lazy on the surface, Beagles have loads of energy and need regular exercise to expend it. Otherwise, the buildup of energy may release that mischievous nature inside.